As a quality moving service, we know that relocations can be stressful and difficult at times. That is why Upper East Side movers are here to make the entire process easier. After you find the perfect housing, we will help you take care of everything else. Preparing your valuables, packing and transporting everything is our concern. Move with ease with one of the best relocation companies in NYC. The Upper East Side is one of the most luxurious and beautiful neighborhoods in the borough of Manhattan in New York City. It is a part of Manhattan that can have a great location within the city. It is located between Central Park, Fifth Avenue, 59th street, the East River and 96th street. 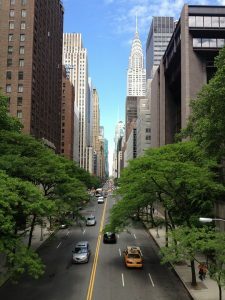 If you choose to live in one of the best parts of NYC, choose the quality Upper East Side movers to help you relocate with ease. You can choose one of the smaller neighborhoods like Carnegie Hill, Lenox Hill, and Yorkville. The best restaurants with the greatest chefs are located at the heart of the Upper East Side. The luxurious Upper West Side is a place of refined culture and shopping. You can choose to visit the Metropolitan Museum of Art and other beautiful galleries. The luxury boutiques and high-end department stores, the best restaurants with the greatest chefs are located at the heart of the neighborhood. When living in The Upper West side, you will always be close to Central Park, Times Square, and the Upper West Side. Why should you choose Heart Moving Manhattan NYC? When moving to one of the most luxurious neighborhoods of the New York City, you will want to make sure your valuable belongings get the best care from the moving and relocation professionals. If you are looking for the best Upper East Side moving company, consult local movers Manhattan. The reputable quality movers will be easy to recognize. Our moving service will offer a free moving quote, or in other words – the estimate of the moving costs. After you contact our operator, we will send one of our representatives to your location. He will estimate the amount of your moving cargo. Also, he will discuss all the details about your relocation like distance, additional services you may need etc. After the estimation process is finalized, he will give you the official moving quote. With Heart Moving Manhattan NYC, you don’t have to worry about additional charges for the service you get. Keep in mind that our quote is the moving estimate that includes all of the moving costs for your relocation. 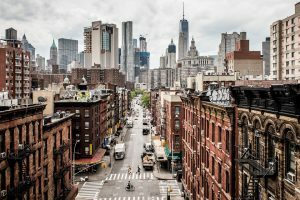 With Heart Moving Manhattan NYC, you don’t have to worry about additional changes at the end of the relocation process. Our moving specialists have special training and skill. Heart Moving NYC professionals are here to help you with any type of the relocation process, no matter if moving your belongings to your new residence or transfer your items into a storage unit. We will move your belongings using professional moving equipment with ease. There are numerous reasons why you should choose the reliable moving company to relocate you. Upper East Side moving company are here to organize the entire relocation process for you. We love what we do! That is why we will make sure that every customer is satisfied. After you contact us, we will make sure to make a customized plan for your relocation. That way we will cover all of your specific needs while relocating. Every customer is different an requires a different approach. Our Upper East Side movers will make sure to organize your move to the best possible standard. All you need to do is to tell us a few details about your relocation. Before we make the customized plan for your move, it is best if we know your new location, the budget, and the possible moving timeline. With this information on hand, our movers will be able to schedule an exact moving date. Let our Upper East Side movers help you organize your Manhattan move! In case you need Manhattan storage or any additional moving service, we are here to organize it for you. Heart Moving specialist will help you find the best storage unit for your needs. If you are unable to pack or transport your belongings to a storage unit, we can assist. Our Upper East Side movers will protect your items with the professional packing materials. They use special plastic wrapping materials and quality moving boxes to make sure the safety of your items. On the other hand, our movers will take special care of your items when they have to stay in a storage unit for a longer period of time. 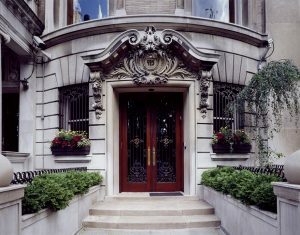 Your safety is a number one priority when moving to a luxurious Upper East Side neighborhood. Most fraudulent moving companies would jump at the opportunity to keep your highly valuable items hostage. That is why you should make sure you find the reliable Upper East Side moving company for your relocation. When choosing the best NYC movers for your needs, make sure you know how fraudulent movers operate. Most of the fraudulent moving companies will give you vague information about their business – When you talk to a moving scam artist, he will give you a general information about moving services. On the other hand, when you ask about the company itself, they may skilfully avoid giving the company address or other important details. Fraudulent movers may avoid giving out the license and the ID number of their business – Keep in mind that reliable Upper East Side movers will share the license information about their company. On the other hand, fraudulent movers will do everything to avoid giving out this information. Unreliable movers will agree to transport all of your belongings – Keep in mind that every moving company has the list of items they cannot relocate. The reasons are the import and export laws that prohibit the transport of certain items that can damage the mover’s safety or the safety of your entire moving cargo.